Microsoft Word Or Google Docs: Which One Is Better? Microsoft first introduced its word processor software all the way back in 1983. It only worked on just one type of computer back then, but the software package proved to be quite a huge success for Microsoft. To further expand on their success, the tech giant decided to introduce a whole suite of productivity enhancing software, which was collectively called, Microsoft Office. Moreover, the Office maker also decided to support all major kinds of computers. By 1988, they finally accomplished this feat when Bill Gates introduced the first version of MS Office which made it possible for Word and all other Office software to work flawlessly on all sorts of computers. Since its inception, Microsoft Office has enjoyed great success. And, because there was a tech giant with behind it, MS Office could evolve and improve at a pace much faster than its competitors. But, although the Office suite is a huge success, Microsoft Word still remains Microsoft’s greatest productivity tool. All over the world, people still find MS Word the easiest to use word processor and Microsoft keeps on expanding and improving MS Office, Word continues to reign as the most popular word processor in the world. About a decade ago, another tech giant decided to enter the productivity tool realm; Google. The search engine giant decided to challenge Microsoft Office’s monopoly by introducing a game-changing office suite of their own. Google took Microsoft by complete surprise by introducing an office suite of their own. Google named its office suite, Google Docs. It contains three different productivity tools; Docs (Word competitor), Sheets (Excel competitor) and Slides (PowerPoint competitor). What made Docs so special was the fact that the whole suite was cloud-based. Being cloud-based meant anyone with a Google Drive account and internet access could use the suite. This, combined with Docs’ simplistic layout and frequent updates allowed Google Docs to earn a huge following in just a short span of time. As time went on, fans, as well as, tech experts couldn’t help but compare Docs to Office. Both sides had a lot of backers and before you’d know, the “Google Docs vs. Microsoft Word” debate degenerated to become the new “Android vs. iOS” kind of argument. Even now, run a quick search regarding Word vs. Docs to try to find the better option and you’ll find that almost every website and blog gives a few silly excuses to support their favorite word processor and to write off the competitor. So, to help settle this argument once and for all, we have decided to put all the important facts and figures in front of you. This way, when we pick a winner, in the end, you’ll know the decision is based on actual facts and figures, not opinions. But, before we can pick a winner, let us dig into the facts and figures. Since 1988, Word comes as a part of the Microsoft Office suite. That means, no user can purchase Microsoft Word as a standalone productivity tool. The entire suite has to be purchased even if Word is the only tool that the user wants to use. These days, the Office suite (being called Microsoft Office 365 nowadays) comes packed with a lot of great tools; along with the usual Word, Excel and PowerPoint, users will also get OneNote, Access, Outlook and Publisher. Sadly, there is a limit to the number of computers you can run your Office suite on. That means, if you bought and downloaded the suite from your laptop, you will have to pay extra to make it run on your desktop as well. And with Office, things can get really pricey. In 2010, Microsoft did indeed introduce their own answer to Google Docs. Word Online is a cloud-based bare-bones version of Word that allows users to create and edit Word files online using their Outlook account. Unfortunately, Word Online had a lot of bugs in it and that made it really difficult to use. In order to make things better, Microsoft decided to remove a few more features and toolbars from the online suite but that only left the users wanting even more from Word Online. And, even after the removal of some features and toolbars, the online suite still struggles with big and complex Word files. There is also a Word app that comes preinstalled on iOS and Android devices, but as with Word Online, it is a very bare bones version of the word processor. Google Docs, on the other hand, is very different in this regard. Google came up with the idea of a cloud-based office suite first and that meant Google had all the time to test and perfect it before launch. With Google Docs, users do not have to spend hours downloading GBs of a software package and users also don’t have to pay for productivity tools they don’t want to. In fact, users don’t have to pay anything! All you need to do to access Google Docs is to log into your Google Drive account from any device and then go to the link docs.google.com. Moreover, unlike Microsoft Office, that’s made for only Windows and OS X computers, Docs is entirely cloud-based. Meaning, it can be accessed and used on all sorts of computers. From Linux to ChromeOS, if you have internet access, your computer can probably run Google Docs. Google Docs too, has an app for iOS and Android devices. Winner; Google Docs – It may not offer sophisticated features like the online PPT to PDF converter, but it does allow all its users to access the full version of the suite and that too, from any device they want. As we mentioned above, Google Docs is absolutely free to use. All that is needed to access Google Docs is a Google Drive account and that too is free. Google Docs also offers a Business plan for offices and organizations. The Business plan starts at $5 per user. With Microsoft Office, users have the option to make a onetime payment to purchase the complete version of the suite or, users can rent the suite by making small monthly payments. To buy the complete suite in one payment, users will have to pay $149.99. If users want to pay monthly charges, the price starts at $6.99 (users can also pay $69.99 upfront for an entire year). This plan will only allow one computer to access the suite. If the user wants to be able to access the suite from up to 5 different devices, they will have to pay $9.99 monthly (or, $99.99 upfront for an entire year). Majority of the packages include desktop version of all Office productivity tools and the access to a premium version of their web based counterparts. Microsoft also offers Business plans; there are three different packages with different numbers of services and Office tools. The packages are priced at $5, $8.25 and $12.50 per user per month with a yearly commitment. On a monthly commitment, the packages can be availed for $6, $10 and $15 per user per month respectively. It must also be mentioned that the cheapest business plan doesn’t offer any Office productivity tools. Winner; Google Docs – Nothing beats free. Although Microsoft Office offers more features and a lot of options in it packages, when we consider only the cost, Docs is the clear winner. Google Docs works entirely on the web. Meaning, all the productivity tools are on the internet and even the files that users create will get saved in their Google Drive account. This is what makes Google Docs attractive to the most of us but this can also cause a lot of trouble. During times when bad weather knocks out your internet or when Google takes its servers down for maintenance, you will not be able to access Google Docs or the files that you have saved on your Drive account. Google does indeed have an offline mode but even when you have that turned on, you still cannot access Google servers. Users can check for outages using the G Suite Status Dashboard tool, which will show a bright orange line on a graph during outages, but this tool can’t help you access Docs or Drive. 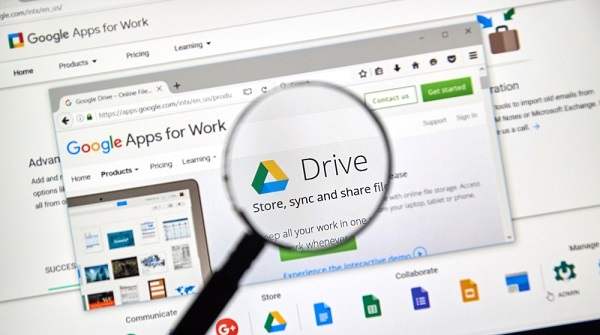 Down Detector reports that the three most commonly reported issues with Google Drive are; Not being able to access files (53%), productivity tools not loading properly (36%) and file not syncing properly (10%). If you rely solely on Google Docs, this can be a big concern for you. Microsoft Word easily wins in the reliability category because even when there’s no internet, you can still work on your documents. And, as Word saves all the files on your computer’s hard disk, you will always be in complete control. Winner: Microsoft Word – With Office, users have the ability to work and access their files whenever they want to. Over the years, Google has added to its simplistic Docs interface and Word has simplified its complex looking toolbars. With Docs, all the most frequently used features are in the toolbar and the lesser used ones in dropdown menus. Google Docs also allows its users to customize the interface and add more features. Users can visit the Google Apps Marketplace to find features that they can add to Google Docs. From thousands of free fonts to automatic contact plugins, users can find a lot of great add-ons in the Marketplace. But, it’s fair to say that even with the add-ons, Docs can’t outgun Word when it comes to features. With Word, you have significantly more features and all of them are stored in lots of different toolbars. With Word, it can take some time finding an infrequently used feature but thanks to the huge amount of features available, users will never be left wanting more. And, like Google Docs, users can also add more features to the Office suite from the Office Store. But, with Word already so feature-rich, it’s hard to imagine why anyone would want more features. Winner; Microsoft Word – More is always better than less. With so many features, it shouldn’t be a surprise that we picked Word over Docs. But, if you want a simple looking word processor, Docs is the way to go. Auto-save is an extremely important feature that deserves to be mentioned here. Google Docs has the ability to continuously auto-save your files as you create them. Moreover, Docs also auto-saves the file you are working on, every few minutes. And, as the files are saved on Drive, no matter what kind of internet or computer problems you run into, your data will be safe. Word Online also has this feature but as most Office buyers prefer to work in the computer app, Word users cannot benefit from this feature. Winner: Google Docs – Auto-save is a much-needed feature and as Docs is cloud-based, it can offer this feature to its users but Word can’t. 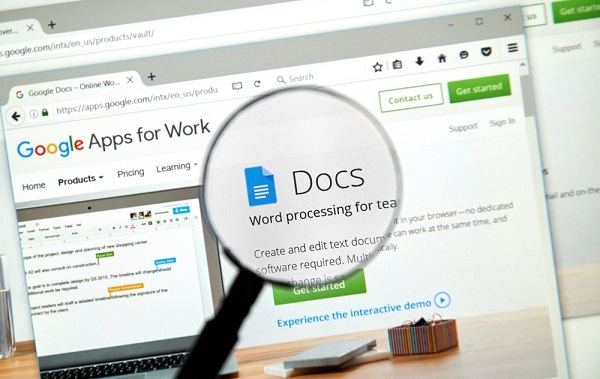 Google Docs allows its users to open and edit Word files in it. Moreover, Docs also allows users to download their files as a Word file, ODT file, PDF file, HTML file, RTF file, TXT file and as an EPUB file. Word, on the other hand, offer even more options. And above that, Word also allows its users to open and edit PDF files in it without having to convert them to .doc first. Winner: Microsoft Word – whether it’s compatibility or PDF editing, Word is the clear winner in this department. Google Docs has always been cloud-based. That enables all Docs users to access the full version from anywhere and at anytime they want. And, even though the mobile version might be missing a few features, it still offers all the most frequently used ones and still works just as smoothly as its desktop/laptop accessed counterpart. Office has always been a computer application and that will always remain its main focus. The Office mobile app is a side project and hence it doesn’t get as much attention as its counterpart. Sadly, this is why the mobile app is missing some important frequently used features. Winner: Google Docs – Both are trying to improve their mobile apps but currently, Docs is doing it better. Counting the points, Google Docs wins it by a small margin. And, honestly speaking, the margin is too small to crown a clear winner. In the end, it all boils down to the user’s budget. But with that being said, Google Docs certainly seems to be ticking more boxes than Microsoft Word at this point in the game.